I'm here today to share a new layout with you using the Cute Girl collection from Crate Paper! Things have been in disarray around our house for the past couple of weeks. We decided to close in our dining room to create a 4th bedroom, we've had new flooring going down and new furniture coming in. Currently, my computer and scrapbook supplies are all on the floor of the bedroom, waiting for new craft room furniture! So with all of that said, I needed to create a quick and easy layout for today. That meant no cut files and new sewing with my sewing machine. 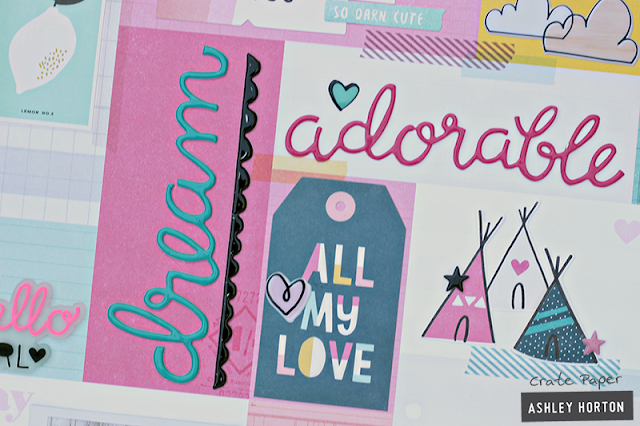 I decided the Be You patterned paper would be a great way to add interest to my layout, without all of the bells and whistles I normally use. I love that this paper has a fun grid design, but that it's a random grid pattern, with different sizes. 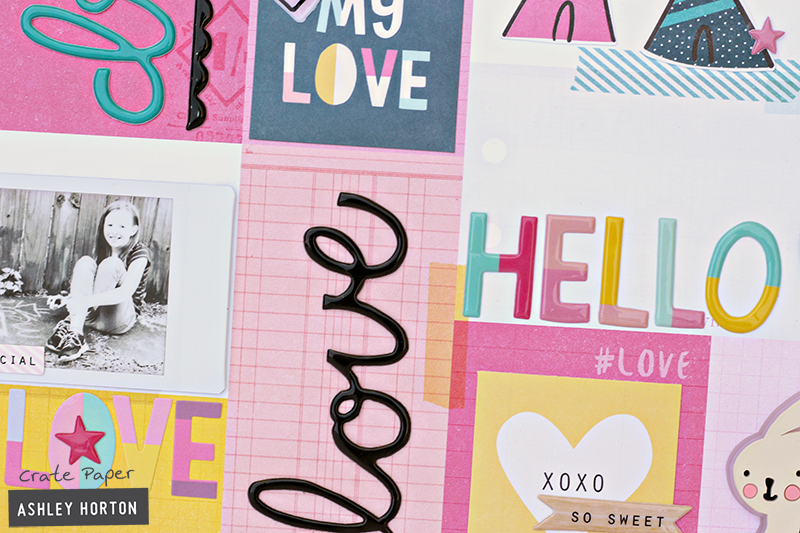 The squares and rectangles are perfect spots for adding embellishments. My printer is also out of commission right now, so I used my SP2 pocket printer to print the photo. I printed it in black & white because I love the contrast it creates with all of the bright, happy colors in the Cute Girl collection. 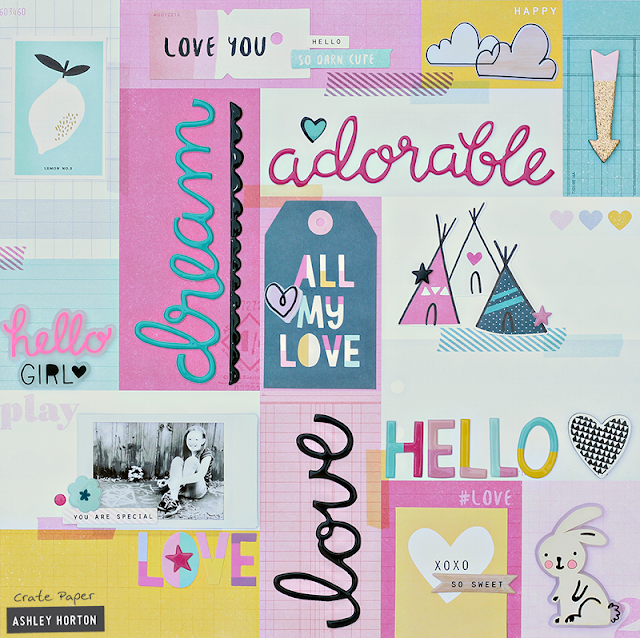 I used a mix of the Ephemera Pieces, Stickers, Puffy Stickers and Chipboard to embellish the layout. Another great thing I forgot to mention about this layout...it only took between 30-40 minutes to complete! I love the way it turned out, even without some machine stitching, which was really hard for me to leave off! HA!